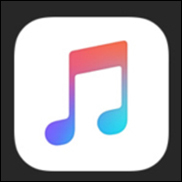 (Hypebot) –will be months before we know if Apple Music is a hit. But one thing you can bet on is that Apple will use its substantial resources to promote it; and thus promote all music streaming. As Sony CEO Doug Morris said at Midem, a rising tide raises all ships. If Apple is able to move music streaming into the mainstream, that could be good for competitors, as well. Apple Music is a place where music is treated like the art it is, with a sense of respect and discovery. It’s also a place that accommodates and supports musicians, and provides an environment for artists and fans to engage. Stream millions of songs—and discover music you’ll love with handpicked playlists and recommendations from our experts. Listen to Beats 1, our 24/7 worldwide station broadcasting the best new music.